After six years of training and consulting for Maptek on their Vulcan software I wanted to share my knowledge with a larger audience. The following posts are small sections that I hope will help you learn more about Vulcan. A short tutorial on using the Rotate function. Thank you so much. I am interning in a mining company this summer and this will be very useful. I'm glad you're putting this information to good use. I'll try to keep it up to date over the summer. hey Anthony, i found your website is really helpful, especially to those people who just start learning vulcan and have no idea what does each function do, and the help from the vulcan manual is really limited (hard to understand without any demonstration). great job! and look toward you put up more training tutorial like these! 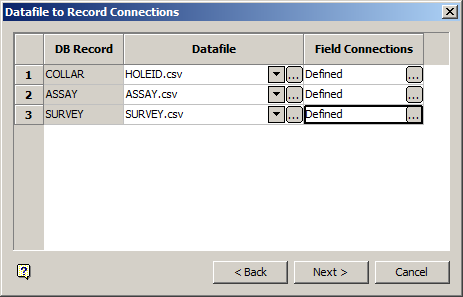 I am looking for on how to generate a datasheet specifically for channel sampling in Maptek Vulcan not drillhole. Any tutorial on that issue? Hi, great website Anthony. Does anybody out there used Vulcan on a Surface Pro 2? I'd like to hear about their experiences - both good and bad. Nice website Anthony. Just curious if you ahve a tutorial on here that demonstrates how to calculate volume vs elevation (say 0.5 intervals) of a pit if I filled it with water? I'm guessing i could use a block model somehow to do this? Just not sure how.. any tips much appreciated! Great question. I think I would combine triangulations and block models to get the result you want. If you create a solid triangulation of the maximum water elevation and then ran that through the Advanced Reserves Editor and broke down on 0.5 foot benches you would get a volume for each 0.5 ft of elevation change. Is there any step by step guide for Vulcan as I am new to software. If any material please send the link on kshivanand.gec@gmail.com.